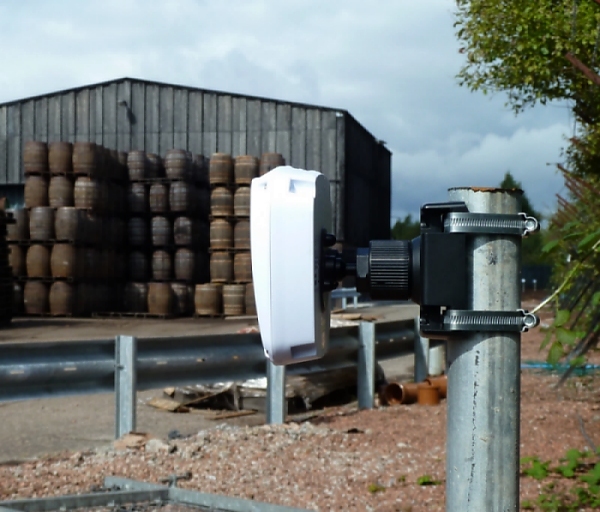 As manufacturers of our own perimeter detection technology we are familiar with a wide range of technical, scientific and engineering terminology. Occasionally, however, someone in our offices says something and it catches the ear; it's just that little bit different. This happened the other day when the words 'Doppler effect' were used by our Technical Director in a conversation with a customer. The subject under discussion was our Microguard™ product, microwave intrusion detection sensors for outdoor security against intruders. Microguard™ works using the Doppler effect - ie. it sends a beam with a particular frequency and if an object is detected in the path of the beam, its frequency changes. When a change is detected, an alarm is triggered. Two of us in the administration side of the business who overheard the words 'Doppler effect' already knew these words in the context of why an emergency siren from a passing vehicle sounds different to an onlooker as it approaches and then moves away from them. So to think that the Doppler effect also applies to security equipment that we ship to customers all over the world for perimeter protection is very exciting! With this scientific phenomenon having contributed to the development of microwave sensor detection, we thought it would be good to learn a little more about its background and history. We compiled a few questions then sought the answers and today we thought it good to share them with our readers. Q: What does the word Doppler mean? A: Doppler comes from the name of the physicist whose scientific work encompassed the phenomenon. He was Christian Doppler, born in Salzburg, Austria in 1803 and who died at the age of just 49 in Venice, Italy. Q: When did the Doppler effect first become known? A: 1842 by Doppler during a lecture he gave to the Royal Bohemian Society of Sciences in Prague. Doppler used the opportunity to explain his theory that the observed frequency of a wave depended on the relative speed of the source and the observer. He subsequently published his most famous work which included this idea. A year later he was elected to the Royal Bohemian Society of Sciences. Q: What do we know about Doppler the man? A: As a child he suffered from constant ill health. Because of this he did not enter his family's business of stonemasonry but was encouraged to be more academic. His greatest interest and natural talent was for mathematics and this led him into further study of the subject along with the science of physics. He married and had 5 children. Doppler became a notable lecturer and teacher and at the age of 46 became the first director of the new Institute of Physics at the Imperial University in Vienna. However, the onset of tuberculosis affected his work which he eventually had to give up to try and recuperate. When he died in Venice (age of 49) the city paid tribute to him and Venetian physicists put up a plaque in his memory. Perhaps the next time you hear an emergency siren change pitch as the vehicle moves past you, you might just pause and think of the mathematical genius who figured out why that happens and whose perception helped give rise to microwave science being used as a perimeter security solution. Microwave security is becoming increasingly popular and important. Check out this perimeter security news item about long range perimeter alarms for outdoor sites using microwaves.